16 Aug High prices having an impact on price. There is an old market adage that the best cure for high prices is high prices. They often encourage additional supply to come to the market and lead to a price easing which was certainly the case for most lamb and sheep categories this week. East coast saleyards reported declines for all categories of lamb and sheep, except Restocker Lamb, which managed an 8.7% gain to close back above 600¢/kg cwt (Table 1). The remaining lamb categories posted falls between a 3-4% magnitude, with the benchmark Eastern States Trade Lamb Indicator (ESTLI) sitting right in the middle of the pack at a 3.5% decline to 761¢/kg cwt. Mutton registered the weakest drop, down 2.8% to close at 421¢/kg cwt. Combined East coast lamb and sheep yarding levels remaining elevated and well above the normal seasonal range. This is a bit of a clue to the weaker prices, with the additional sale yard numbers acting as a drag on prices (Figure 1). At nearly 260,000 head yarded this week, throughput levels of lamb and sheep are sitting 44% above the seasonal average for this time in the year. 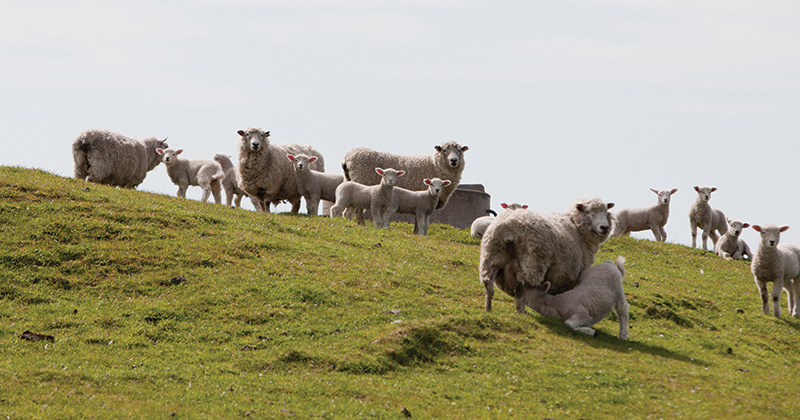 Above average sheep and lamb yardings were reported across Victoria, NSW and South Australia, suggesting it’s not just the dry conditions in NSW encouraging the stock to be brought forward but also the decent prices on offer. The surge in sheep slaughter noted in last week’s commentary extended further this week with an additional 10% added to see the highest weekly sheep slaughter since 2015 at over 152,000 head of mutton processed for the week ending 3rd August (Figure 2). In contrast, lamb slaughter numbers continue to slide, reaching the lowest weekly total it has seen this season at just over 307,000 head and resting 5% below the five-year seasonal average for this time in the year. Apart from Victoria, there continues to be little rain forecast for the upcoming period. Despite the easing prices this week for most categories of lamb, across the East coast prices remain well above the levels they recorded this time last season (Table 1). Indeed, Heavy Lambs are sitting 36% above 2017 levels at over 800¢/kg cwt. This suggests supply will continue to be encouraged forward and with that in mind its likely to see a continuation of softening prices into the short term.